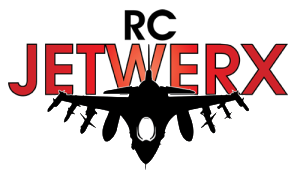 RC Jetwerx will cover replacement of all items deemed defective or inoperable due to factory caused defects from manufacturing if notified within thirty (30) days of taking delivery. RC Jetwerx must be notified by email at info@rcjetwerx.com within the thirty (30) day period and provide a reason for the return request, the order number, description of how or why the product is defective and a photo of the item, RC Jetwerx will provide a Return Merchandise Number (RMN) within five (5) business days to the customer via email. RC Jetwerx will cover reasonable return shipping costs and will replace and ship a replacement product at no expense to the customer. NOTE: If the item has been crashed, misused, abused, overcharged or over-discharged, labeled or defaced, it will not be accepted for return.